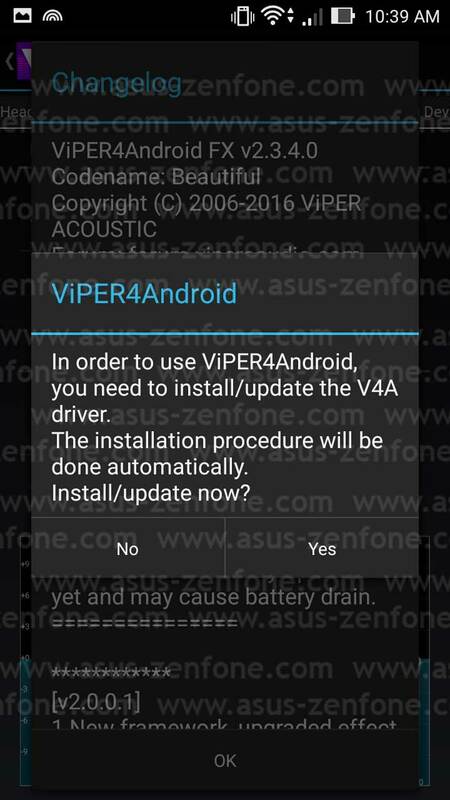 So what’s so special about Viper4Android? 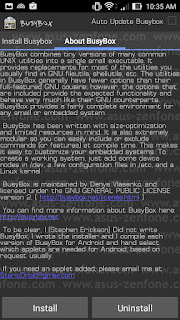 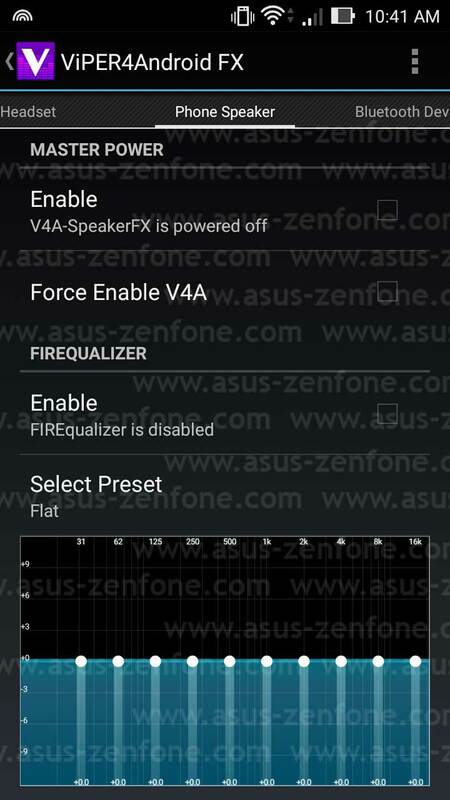 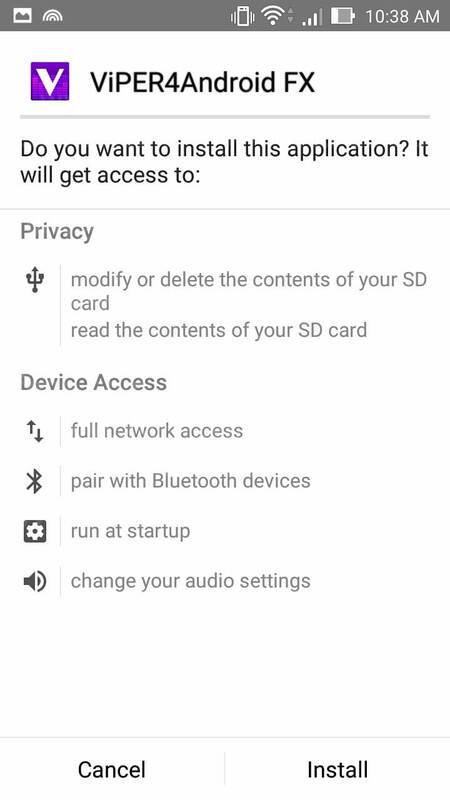 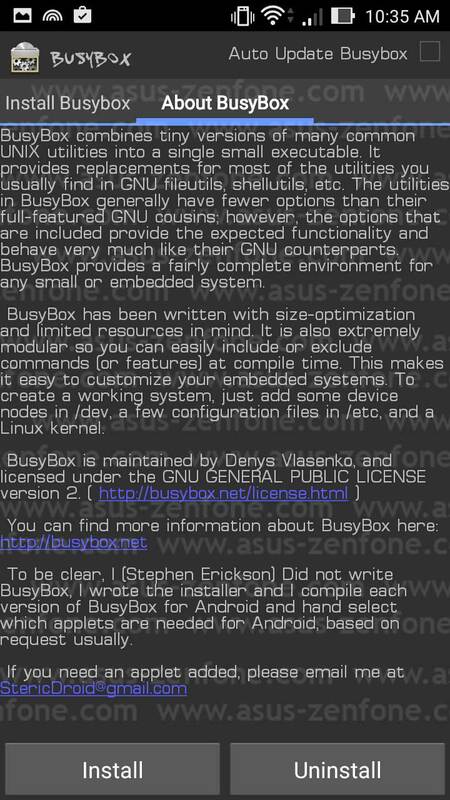 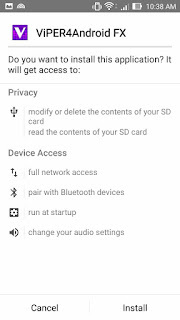 Well, it’s a whole set of library replacements for your phone, and in some cases it can really make the most of your audio processor in your device. 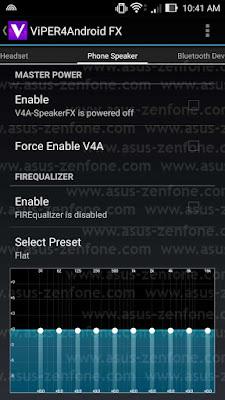 It’s packed with a wide variety of different features, but my favorites are the tube emulator and the dynamic range compression. If you’re looking for tighter, more realistic bass and a fuller sound to your music, Viper4Android will definitely help. 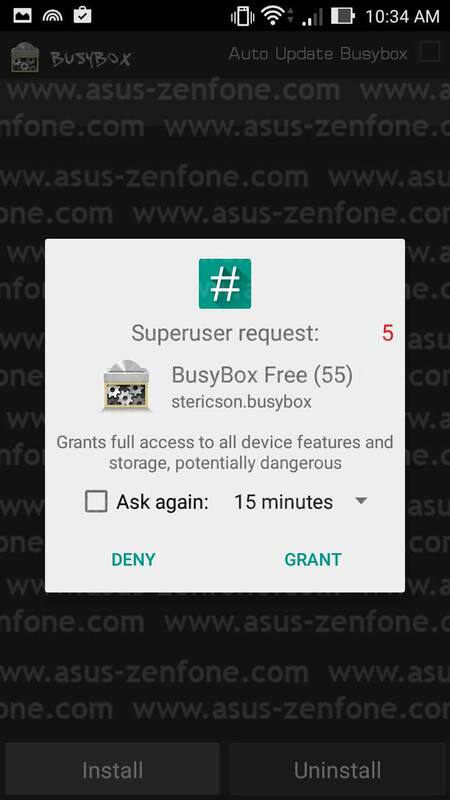 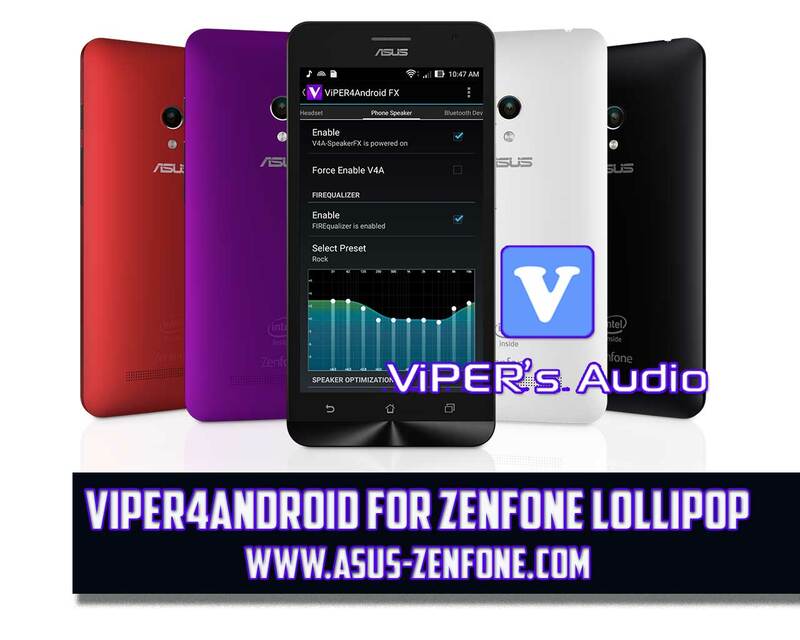 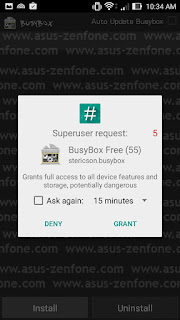 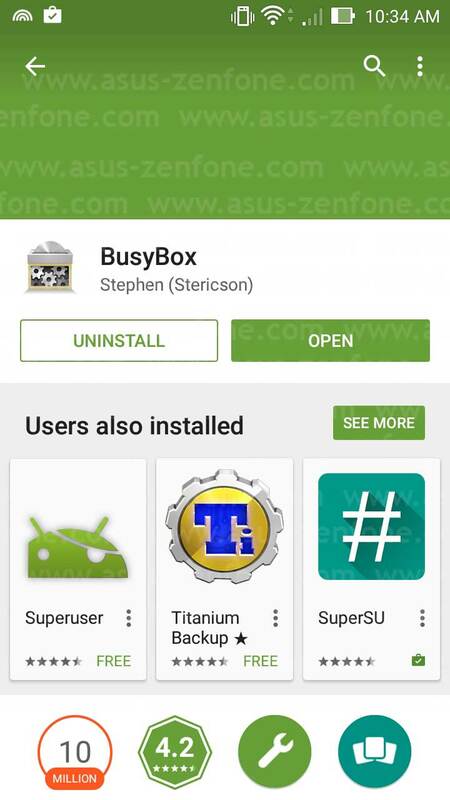 Today ASUS Zenfone Blog test Viper4Android on Zenfone 5 Android 5.0. 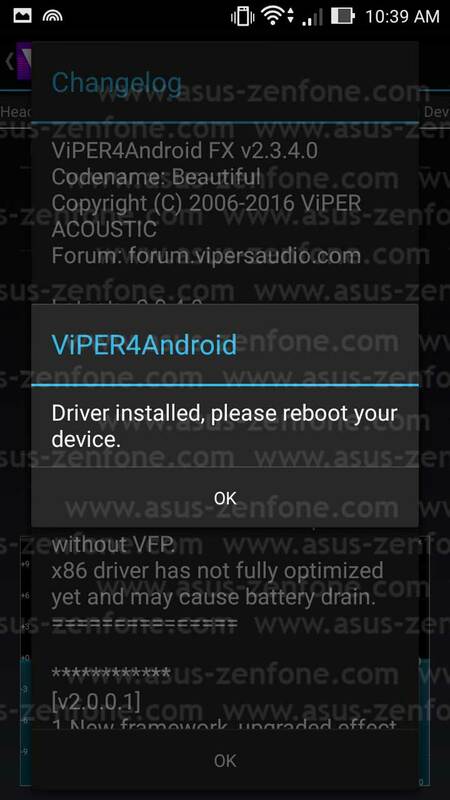 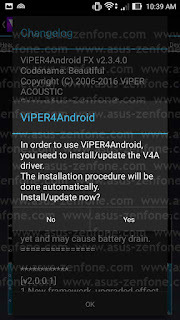 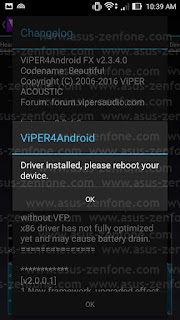 Install Viper4Android APK, Open and Install Driver then Reboot Device.